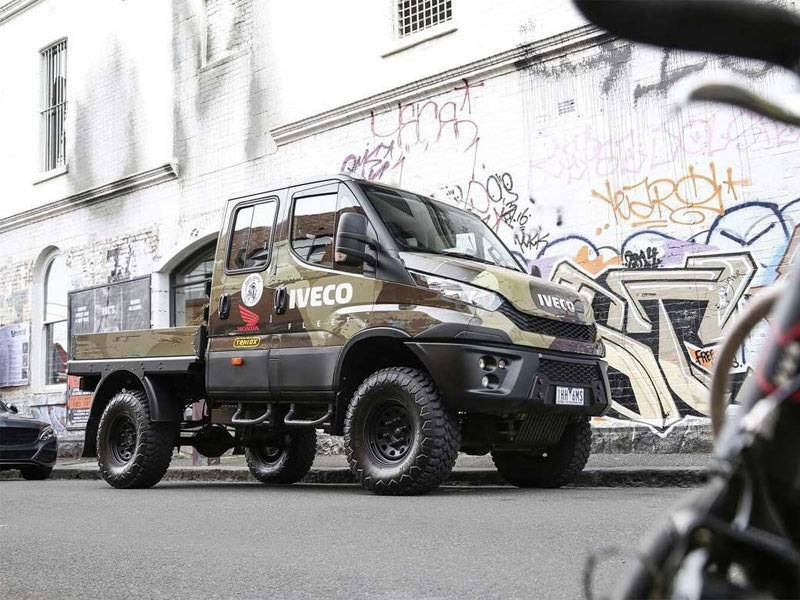 The latest generation of Iveco’s light truck off-road weapon, the Daily 4x4, is now available in Australia, introducing a host of performance and comfort gains over its predecessor. 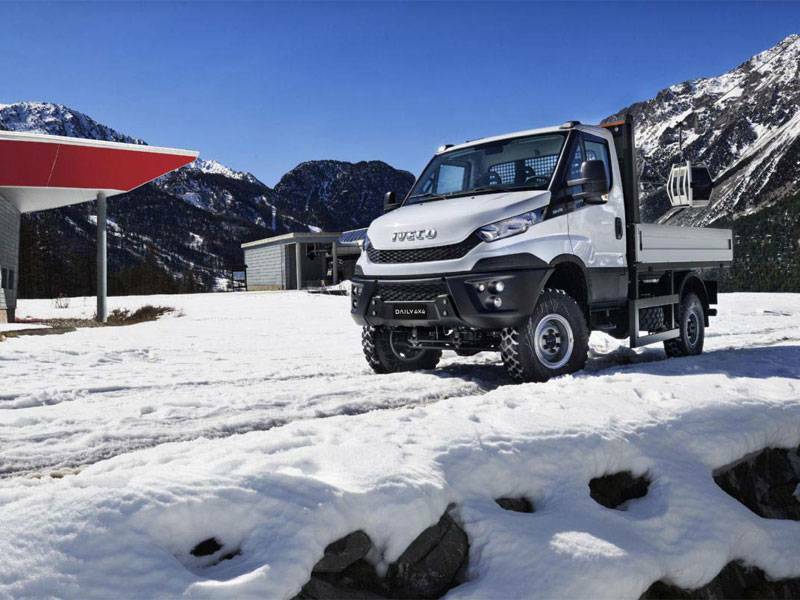 The new Daily 4x4 is available in single and dual cab configuration in a car licence-friendly 4,495kg GVM or no cost optional 5,500kg GVM – both offer a braked towing capacity of up to 3.5t, while payload varies from 2,510kg to 2,800kg depending on the variant selected. 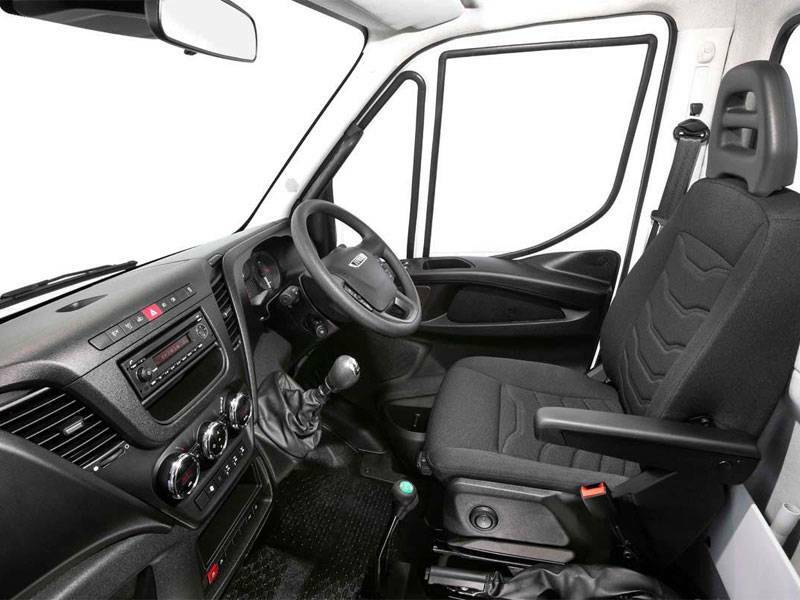 Chief amongst the upgrades is adoption of an all-new ECE-R29-rated cabin – which shares its underpinnings with that of the award-winning Daily 4x2 models – along with a revised Euro6-rated engine. 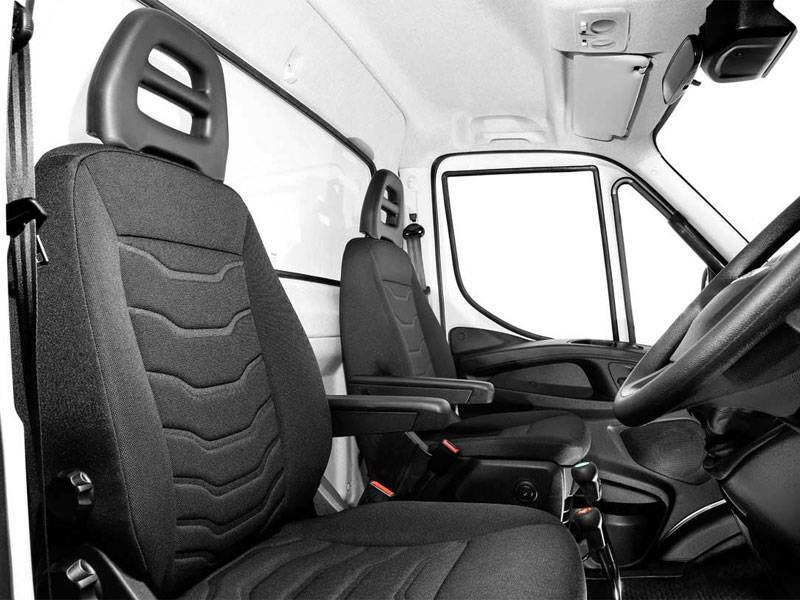 The adoption of the new cabin brings a new level of refinement to the Daily 4x4 that is highlighted by great improvements in noise suppression, the virtual elimination of dust ingress, and ergonomic benefits for the driver and passengers. 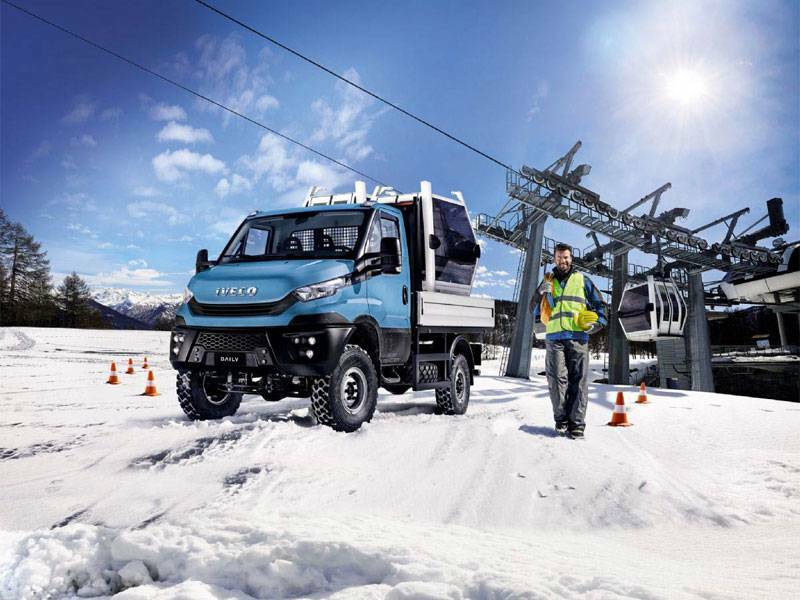 Daily 4x4 offers the best combination of payload and off-road performance in the light truck category and guarantees mobility on any route, in any climate and with any road surface condition. 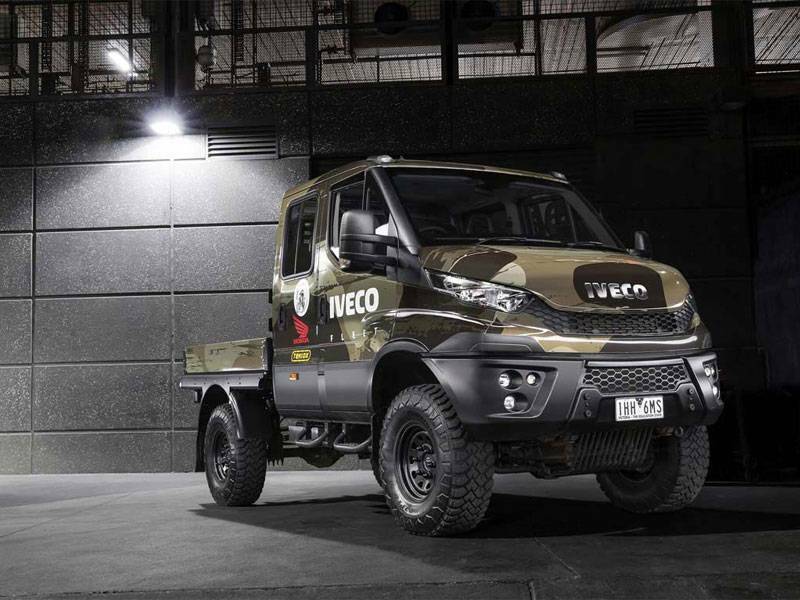 - Truck-derived chassis (side members in special steel with a 5 mm thick C section) which makes it suitable for difficult missions with specific customisations such as Emergency Services, cranes & mining. - Permanent all-wheel drive transmission with three available differential locks (front, rear, central). 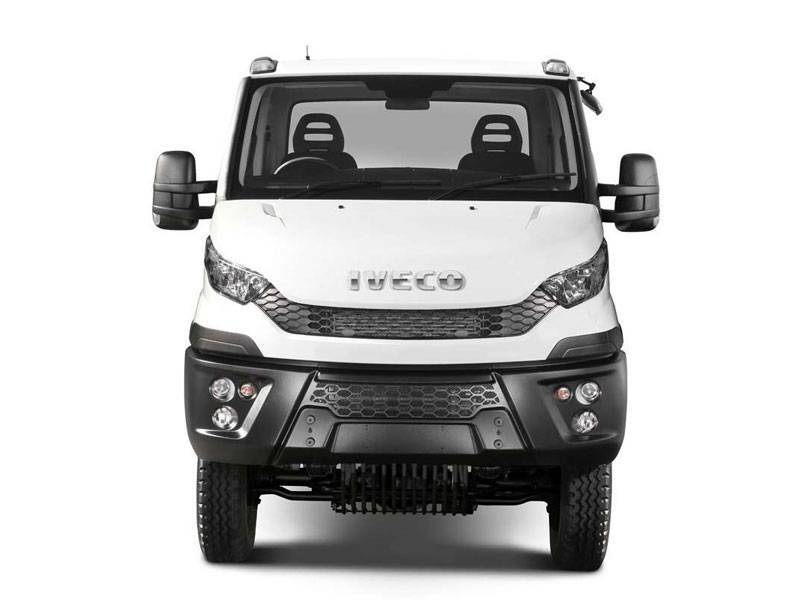 - 24 forward gear ratio and 4 reverse overall with the possibility of selecting the first synchronized reduction (half speed) with the vehicle in motion. - Parabolic suspension with live front axle. 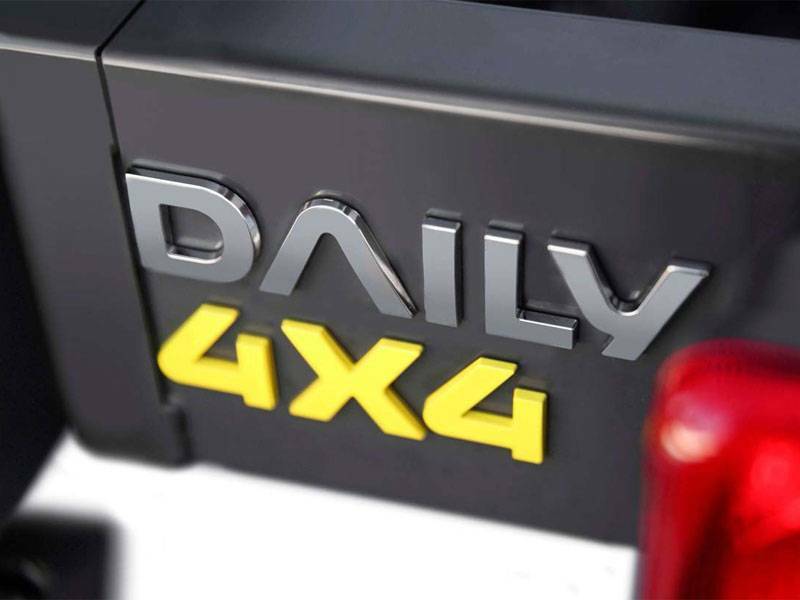 The Daily 4x4 offers the best combination of payload and off-road performance to conquer the toughest conditions. 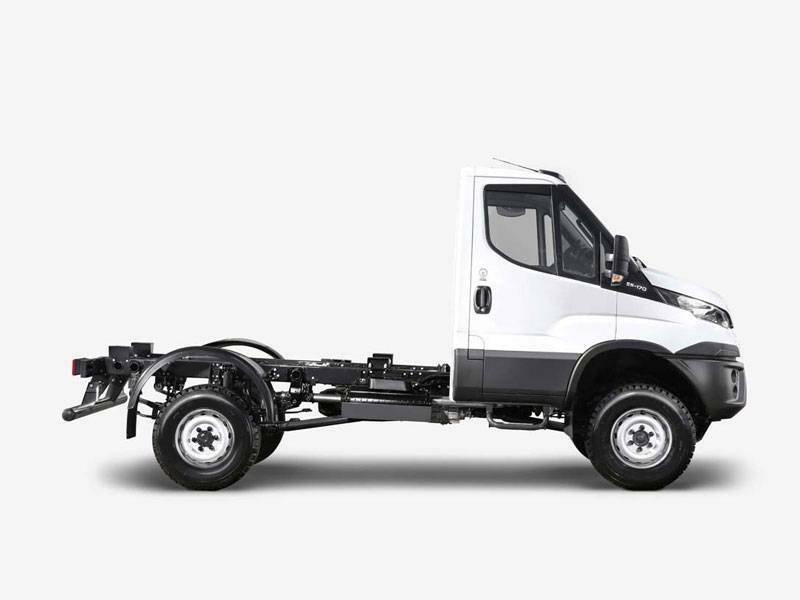 Built on a solid steel truck chassis, it features the performance of a permanent all wheel drive with three available differential locks (front, rear, and central), 24 forward and 4 reverse gear ratios. 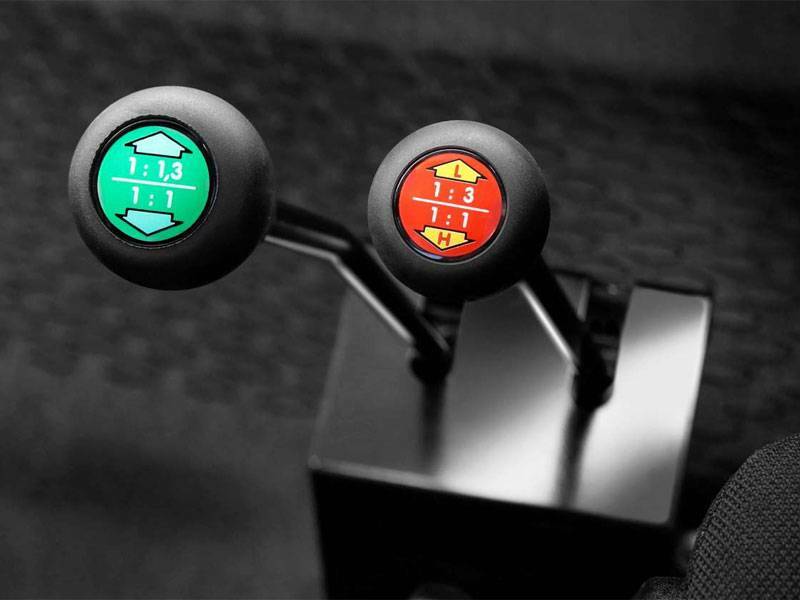 There is also the option of selecting the first synchronised reduction (half speed) with the vehicle in motion. 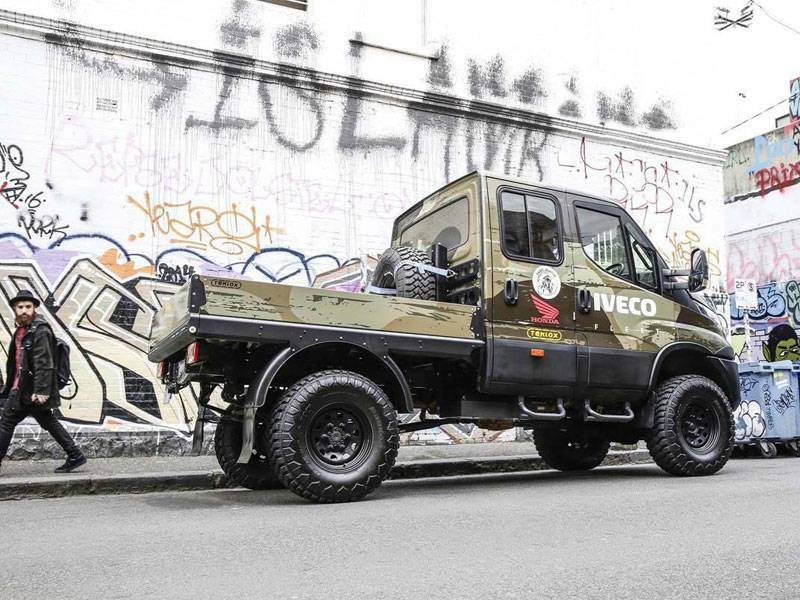 The Daily 4x4 is also fitted with parabolic suspension with a live front axle to cushion the shocks of road surfaces. 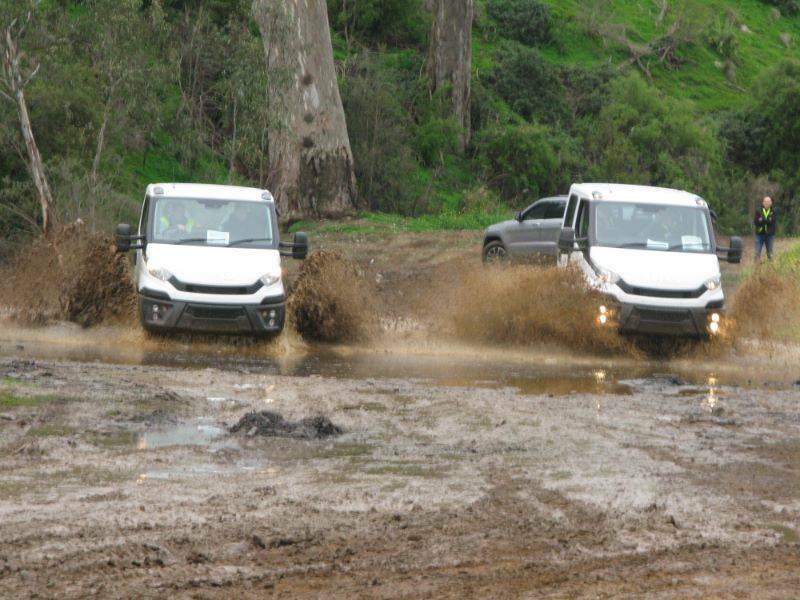 Combined with excellent ground clearance, these features allow the Daily 4x4 to easily handle the toughest terrain. 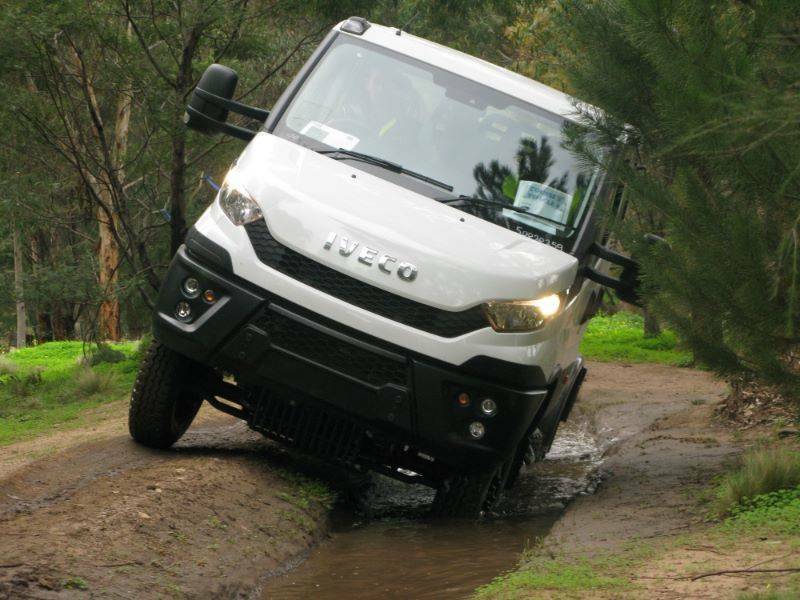 It is available with a 3.4m wheelbase Cab Chassis or Dual Cab, with a 4.495 tonne GVM with axle loads of 2,450kg on the front axle and 3,700kg on the rear axle with an option of 5.5 tonne GVM. The new Daily 4x4 is powered by a 3.0 litre direct injection diesel engine with Variable Geometry Turbo for superior power and performance. 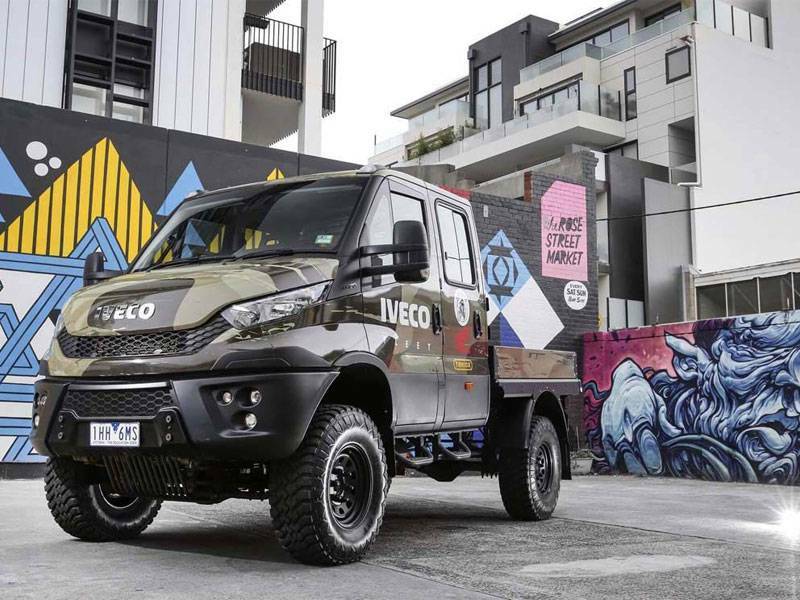 The engine delivers an impressive 170hp (125kW) of power and 400Nm of torque from a low 1,250 rpm while still meeting the latest Euro 6 emissions standards through EGR+SCR technology. 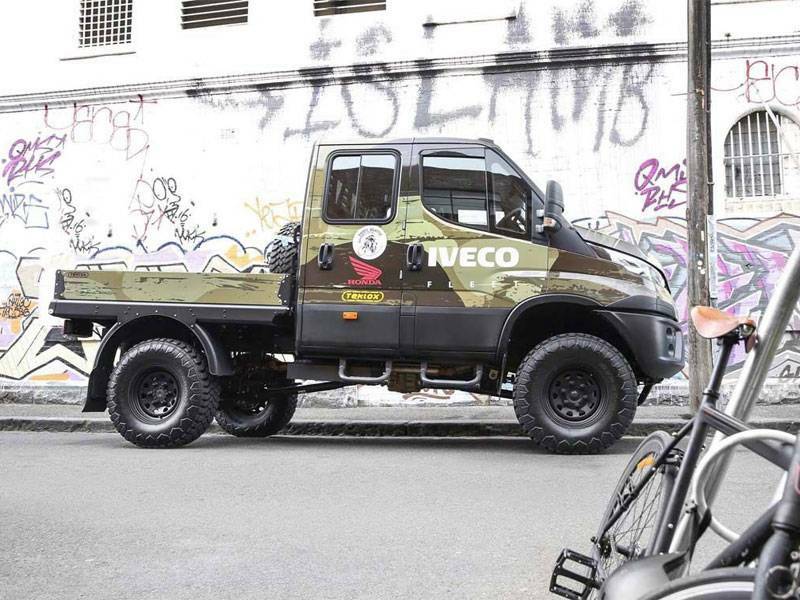 For excellent control off-road, the innovative engine is coupled to Iveco’s proven 6-speed synchromesh manual transmission. 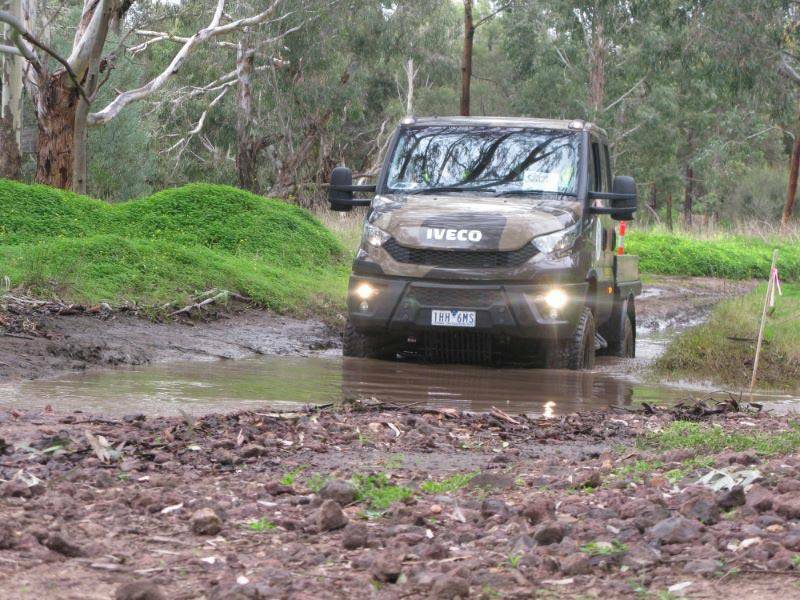 The Daily 4x4 incorporates the convenience and added performance of a permanent four wheel drive system with front, centre and rear differential locks. Torque distribution is optimised (32% to the front and 68% to the rear axle) to give the best possible grip on all types of terrain. 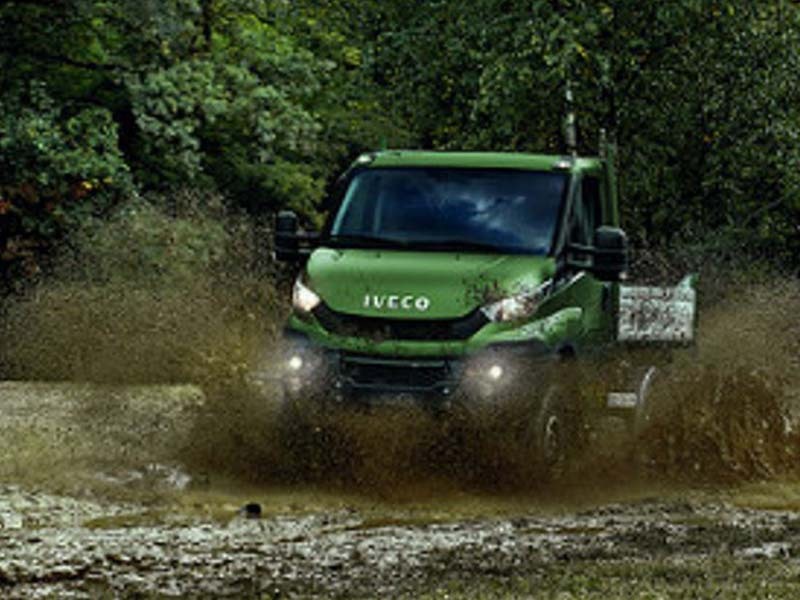 With all differential locks engaged, all wheels, front and rear are locked to the same speed and turn in unison delivering outstanding traction. An electronic control unit linked to electro-hydraulic actuators controls the manual engagement and disengagement of the three diff-locks in sequence, selecting them automatically on the basis of speed to guarantee maximum safety and traction. 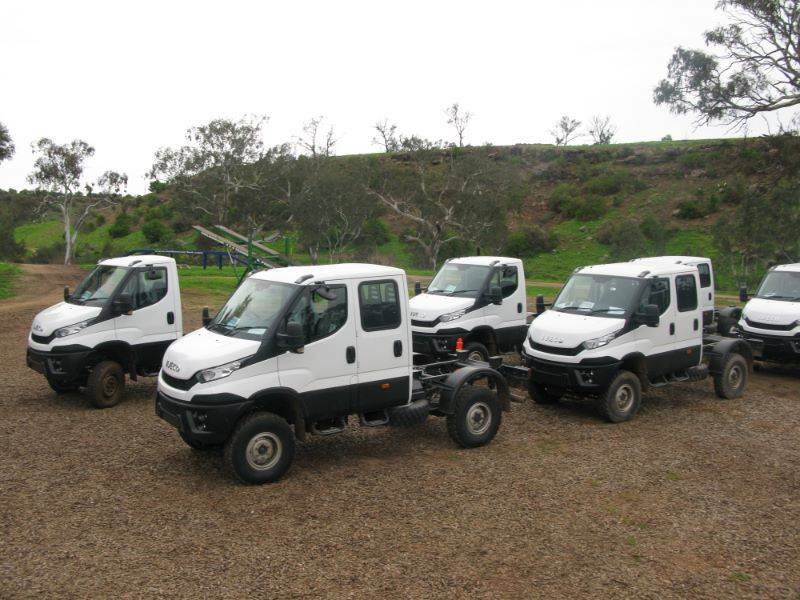 The vehicle can be equipped with two Power Take-Offs (PTOs) to drive external equipment via hydraulic pumps and cardan shafts making the Daily 4x4 an extremely versatile vehicle. 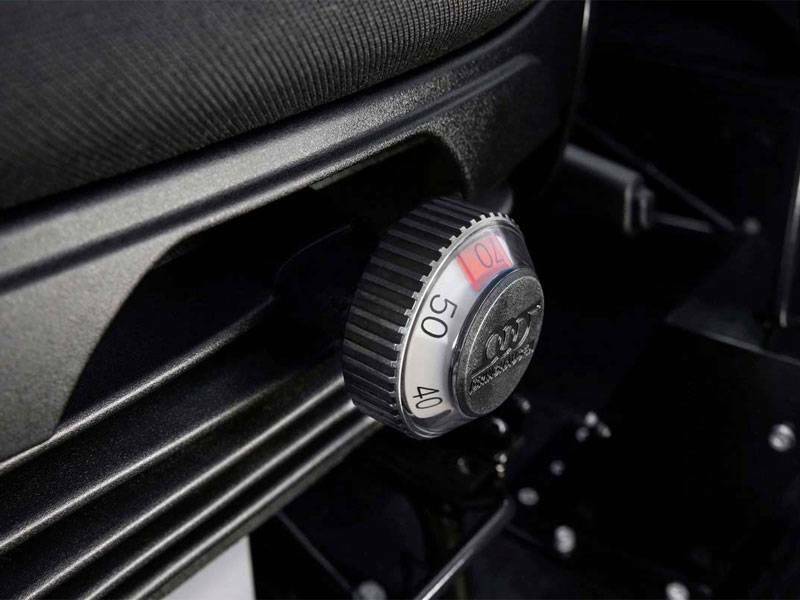 The 6-speed gearbox (with overdrive in 6th) is coupled to a central transfer box with two reduction stages giving a total of 24 forward speeds, 12 for road/trail use and 12 for off road use (6x2 + 6x2) plus 4 reverse gears. 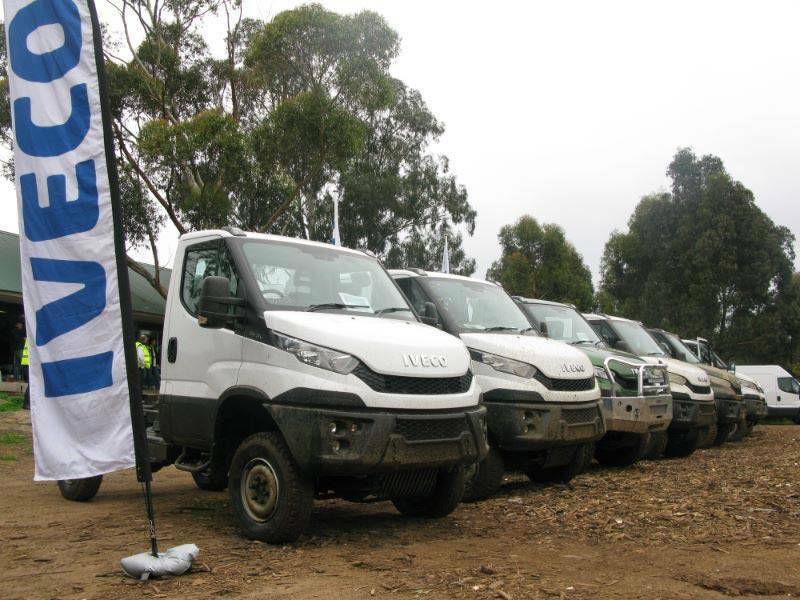 The broad availability of low range ratios allows the Daily 4x4 to safely negotiate the steepest of terrains. 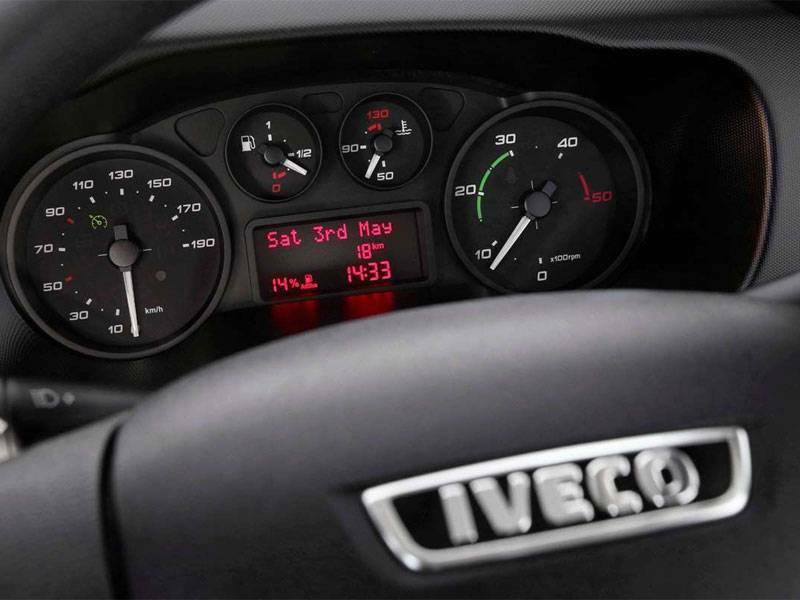 The first synchronised reduction gear can be selected (half speed) with the vehicle in motion. 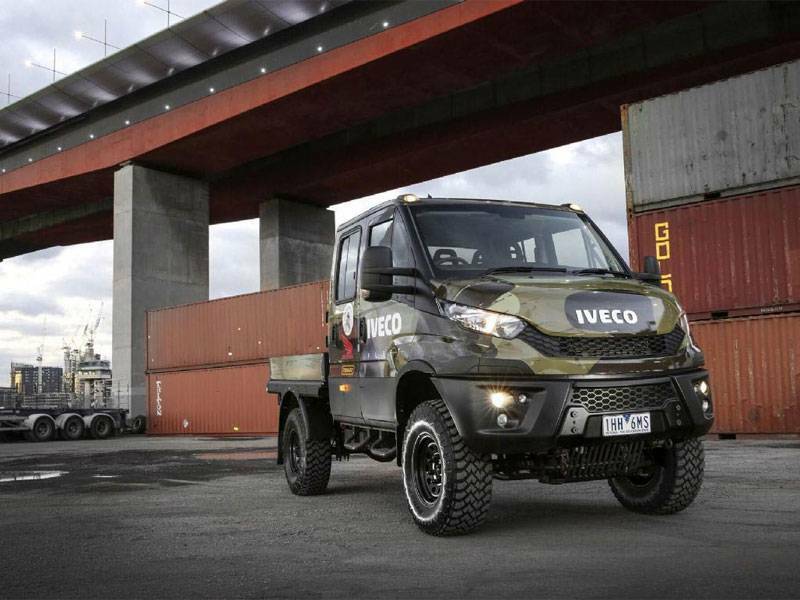 The second reduction stage is dedicated to extreme off road use and can only be engaged with the vehicle stationary. 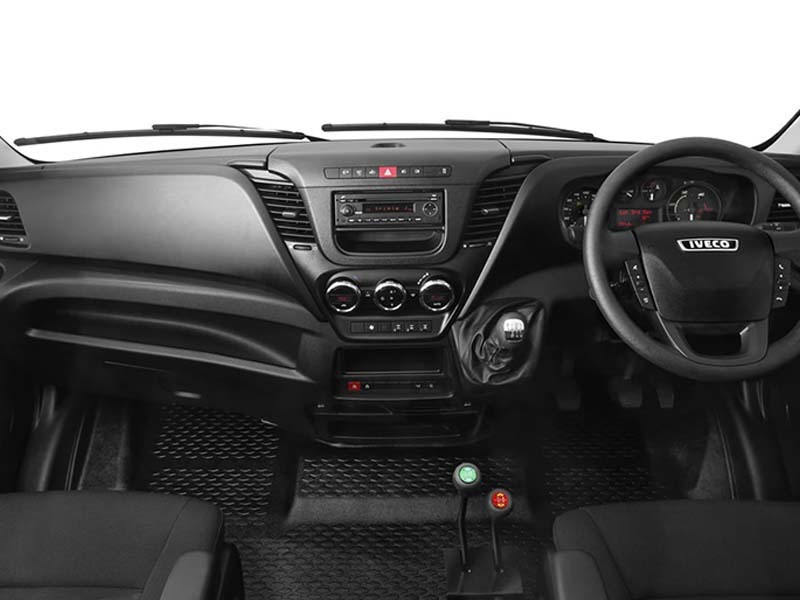 controls and switches, multiple storage compartments and Bluetooth-equipped sound system, the new Daily 4x4 is also easy-to-use. 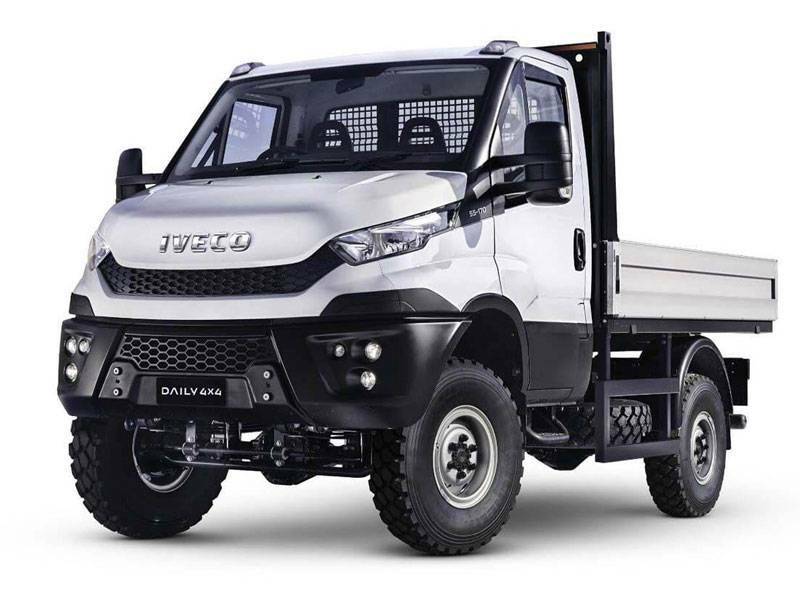 Constructed from a solid steel truck chassis, the Daily 4x4's frame is built tough for tough conditions. The beams and cross members are made from high strength tubular steel (Fe490), with a C section of 5mm. 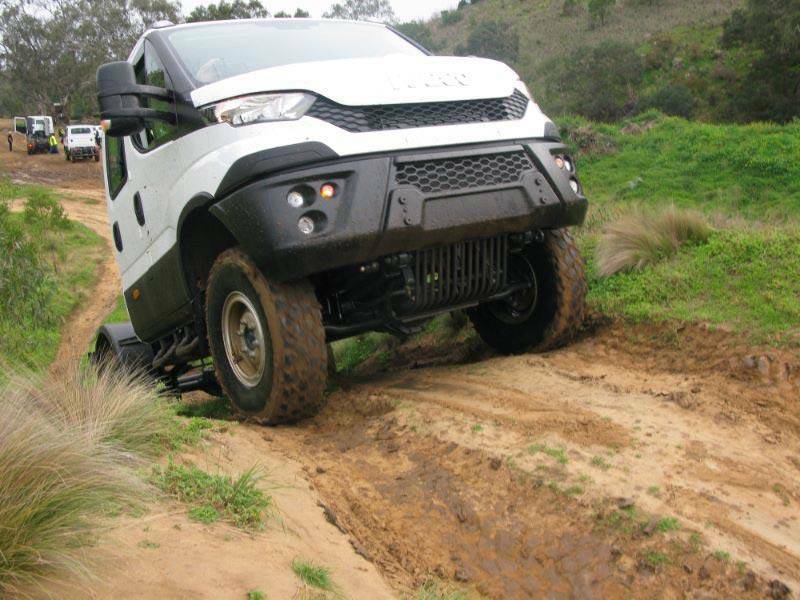 The result is a rigid structure capable of withstanding the torsional stress and fatigue typical of extreme off road applications. 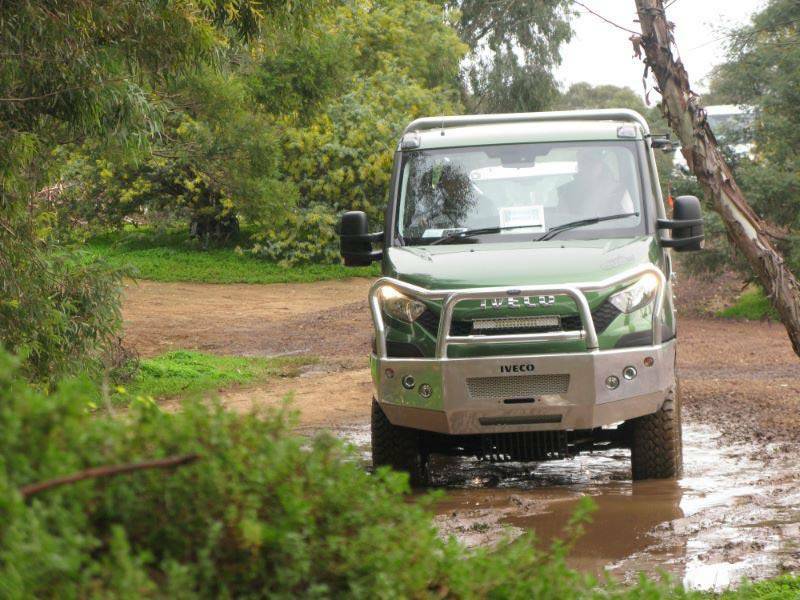 The 3.4 metre wheelbase gives ample ground clearance to drive with confidence in off road conditions. 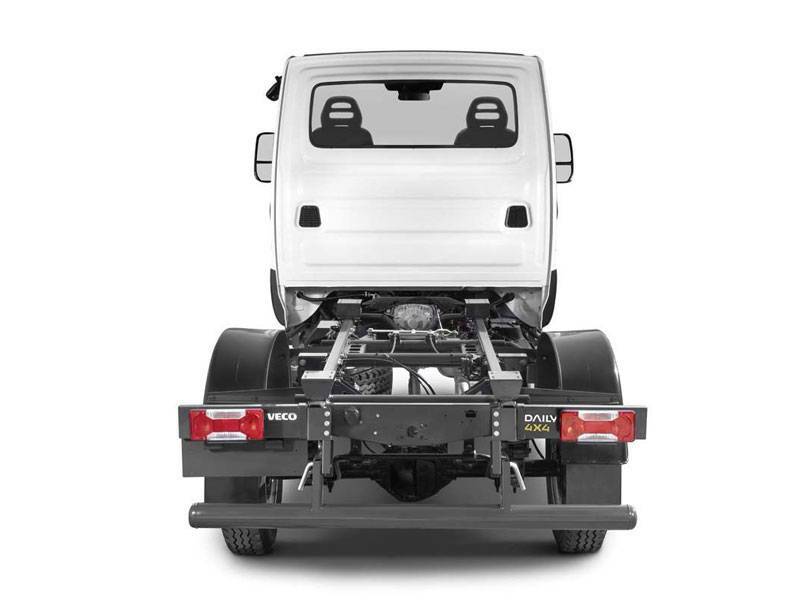 A strong chassis also allows easy fitment of a wide range of body types. 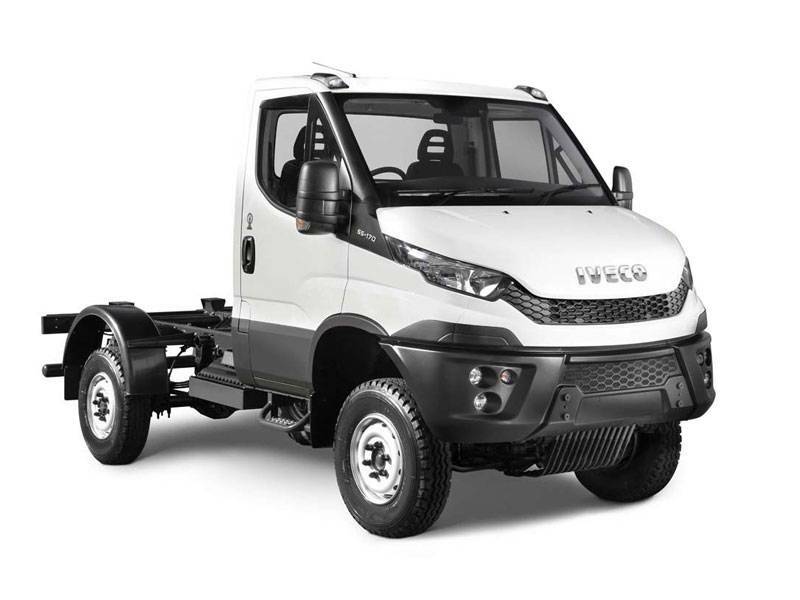 The front axle is fitted with parabolic 3 leaf springs while the rear it is fitted with parabolic 4 leaf springs offering cushioning from the harshest of conditions. 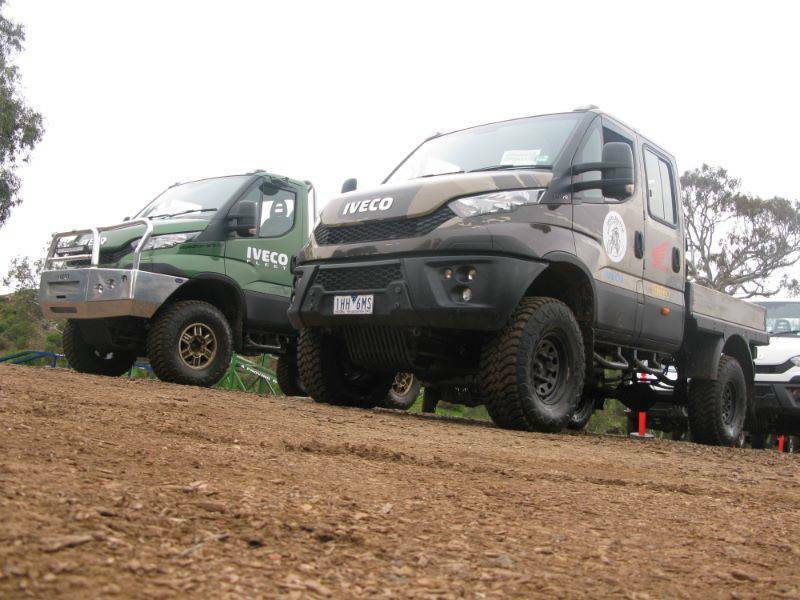 The telescopic shock absorbers and anti-roll stabiliser bars, coupled to the rigid axles, offer excellent performance on any type of terrain and gradient without penalising load capacity.